Microsoft announced at Gamescom a couple weeks ago that pre-loading and pre-ordering would be coming to Xbox One this year starting with the upcoming Forza Horizon 2, which is set to release at the end of September. It seems, though, that the service has come just over a month early, as Electronic Arts' Madden NFL 15 is now available for pre-purchase and pre-load if you purchase the Madden NFL 15 bundle. To clarify, this isn't the Xbox One console bundle that comes with the game, but rather the pre-order bundle with extra content not available to those who buy the game after release. It still costs the same $59.99 as the other download, but comes with that extra content and the pre-load option. This isn't the first time we've seen a pre-load tag in the Xbox store – we got the first hint that Microsoft was working on the service back in March when the Titanfall page had text indicating the option, though that was quickly retracted. Those who ante up for EA Access before purchasing the game will be able to play the game right away, as well as being eligible for a 10 percent discount on the game. Otherwise, the game unlocks at 12:01 a.m. PDT on August 26. EA Access may, in fact, be the impetus behind this, as people who pay for the service will be getting the game ahead of time anyway. 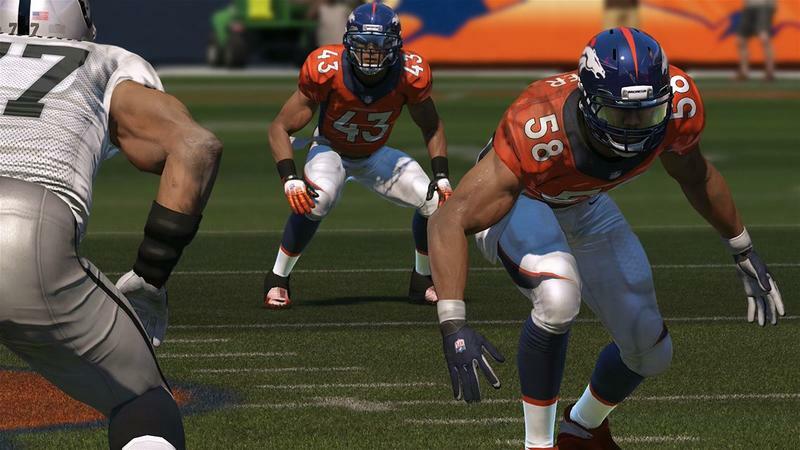 Madden NFL 15 is the first new game to hit EA Access since its recent unveiling.